^ Zanker, Paul (29 April 2009). 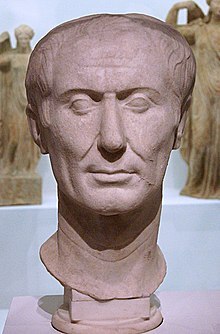 "The Irritating Statues and Contradicting Portraits of Julius Caesar". In Miriam Griffin (ed.). A Companion to Julius Caesar. John Wiley & Sons. p. 302. ISBN 978-1-4443-0845-7. This page was last edited on 1 February 2019, at 05:28 (UTC).